Chester, 2nd October 2017. After three action-packed days at Interplas 2017, the UK’s largest and leading plastics industry event is being hailed as a resounding success by exhibitors who took part in the triennial showcase for the British plastics industry. Almost 12,000 attendees (audit pending) visited the event at the NEC, Birmingham and they were provided with the opportunity to see a multitude of product launches and demonstrations from almost 500 exhibiting companies, more than 40 inspiring presentations across two conference stages and a host of exciting show features. For the first time, the conference programme was delivered across two stages. 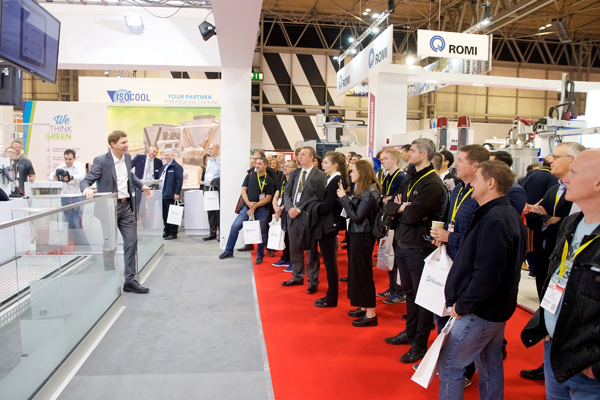 The Main Stage, in association with British Plastics and Rubber Magazine hosted world-class presentations from Jaguar LandRover, Nissan, KPMG, P&G and the BPF, while Stäubli, Plastribution and NetComposites presented to full houses on the brand new Interplas Introducing Stage. In addition to the conference programme, exciting features such as the Knowledge Pavilion gave attendees the chance to meet industry trade bodies, consultants and service providers to get expert advice on research and development, skills and education, regulation and materials selection, whilst Mediplas@Interplas and Inspex provided specific technology advice on medical and inspection issues. The new PlastikCity Pavilion presented 20 first time exhibitors to the audience further enhancing the opportunities on the show floor, and the Women in Plastics initiative returned with a hugely successful and well attended networking evening. “As organisers we pull it all together but Interplas is the success it has become because of the support the industry puts in, in particular our exhibitors who have invested in their stands and make it a show worth attending. Special thanks must go to British Plastics and Rubber, as well as the British Plastics Federation (BPF) and the PMMDA, three pillars in the continued growth of the UK plastics industry and in the growth of Interplas.